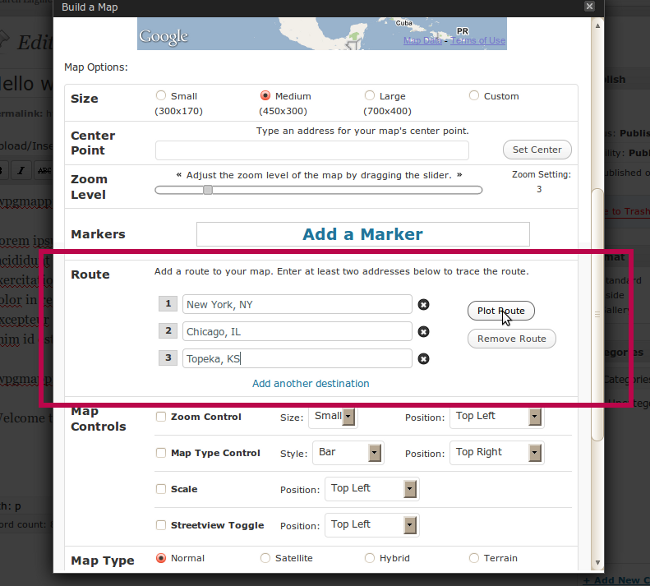 WPGMappity version 0.5 adds a new feature: Routing. 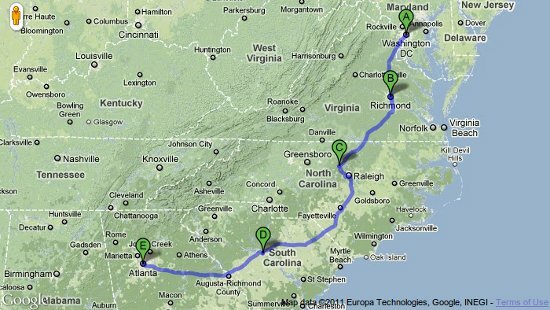 Routes use the Google Maps API to generate a path between points, and creates a colored polyline to overlay onto your map. Your map will automatically adjust it’s center point and zoom level in order to display the entire route that you have plotted. If the Google Directions API can not recognize one of the entries you have supplied, WPGMappity will give you an error. Try entering a different location.